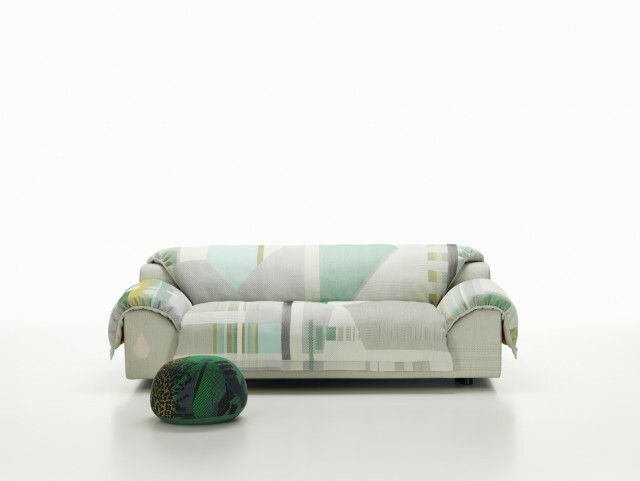 Vlinder Sofa is an haute couture sofa that combines the human touch of crafts with the possibilities of digital technology. Vlinder combines the archetypal form of a contemporary sofa with a fabric that was exclusively designed and developed to fit this sofa’s shape. The most prominent feature of the sofa is its cover: a large-patterned overlay in a soft jacquard weave – called ‘Tailored Fabric’ – which is draped over the sofa body. 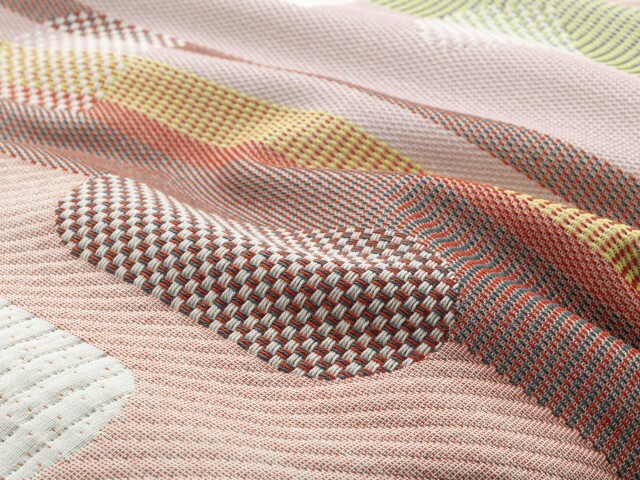 This fabric is a textile construction in which the position of different weaves is tailored to the shape of the sofa for a unique appearance. 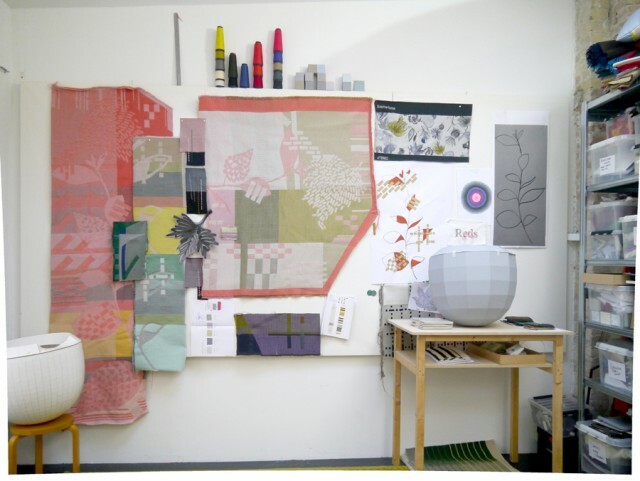 The result is a collage of intertwined textures and colours, reminiscent of historical tapestries or Gobelins, blurring the border between utilitarian object and art. 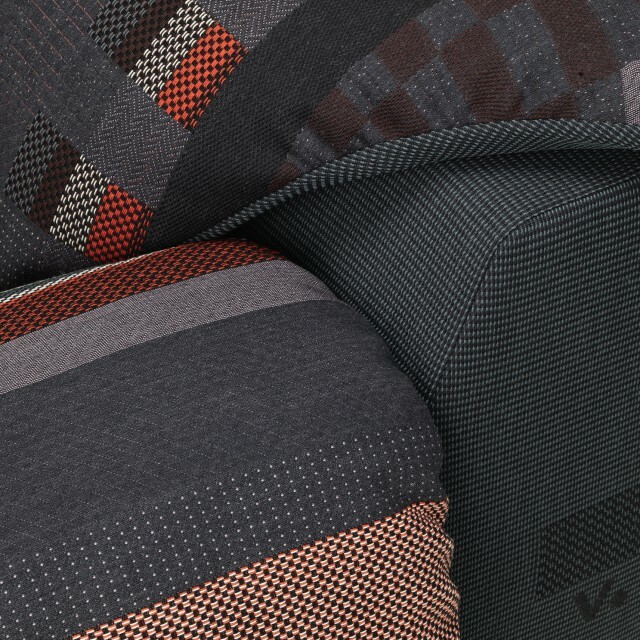 The elaborately produced fabric is draped over the seat, back and armrests of Vlinder. 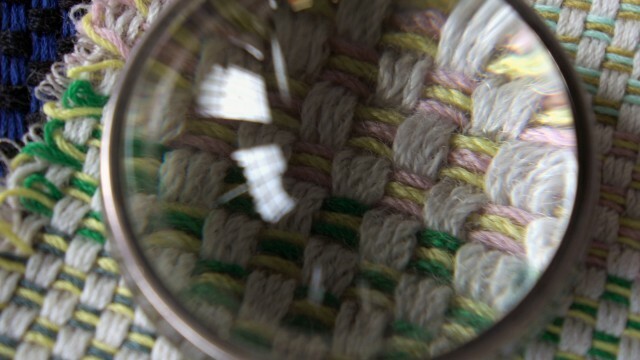 ‘We live in a world of fast fashion, in which textiles have become a throw-away product. 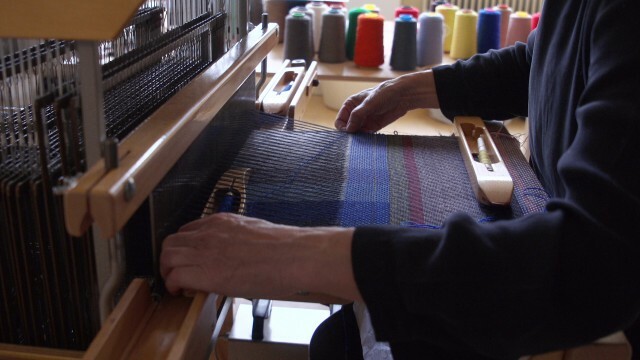 We are losing skills – like the craft of weaving, with its richness and quality of textiles and the expression that it has. And we also live in a digital world. Today it is becoming increasingly important to have a haptic environment, something real to touch – a tactile, rich skin. 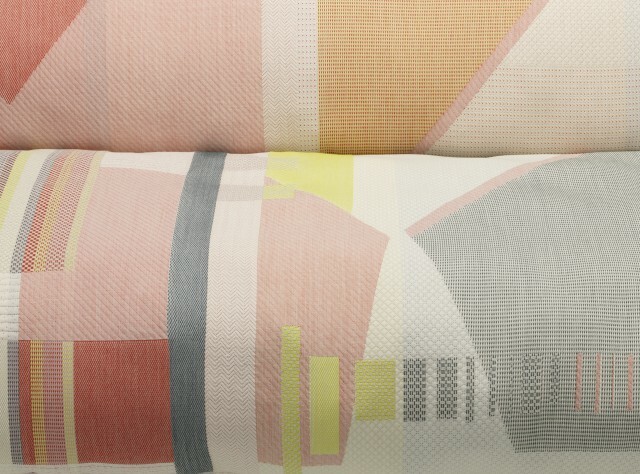 With Vlinder, I show what textiles can do if you break the boundaries of traditional manufacturing. 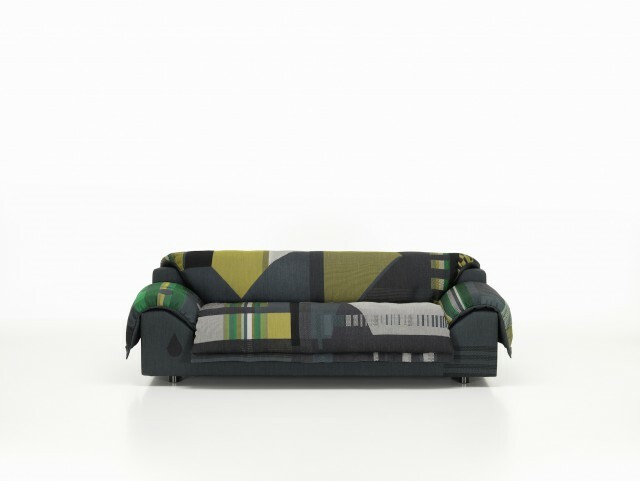 The Vlinder Sofa’s concept has many layers, driven by innovation in material, thereby creating a new aesthetic. The tactile quality is not only the surface but also the super soft seating comfort.